Lost in the heart of South America, Paraguay is a country of untamed landscapes, enchanting culture and alluring authenticity. Paraguay is home to over 6 million people and some of the most mesmerising cultural traditions in South America. Attractions include the Jesus and Trinidad Jesuit Ruins in Itapúa, Ybycuí National Park and the Museo del Barro in Asunción. 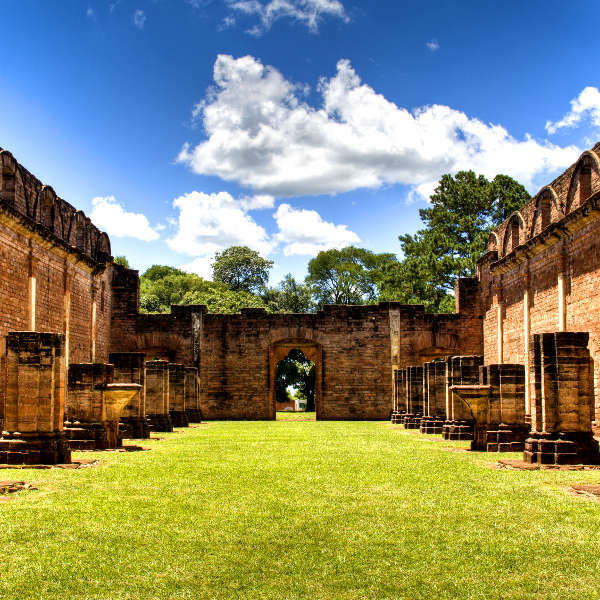 Get ready to venture off the beaten path and feel the authentic rhythm of South America with cheap flights to Paraguay! Asunción, the capital of Paraguay, is home to Silvio Pettirossi International Airport (ASU), which is a 25-minute drive from the centre of the city. Wander through the beautiful skeletal remains of the Jesuit missions ruins in Jesus and Trinidad, or search for mysterious petroglyphs in the Ita Letrá and Gasory rock shelters of Amambay. 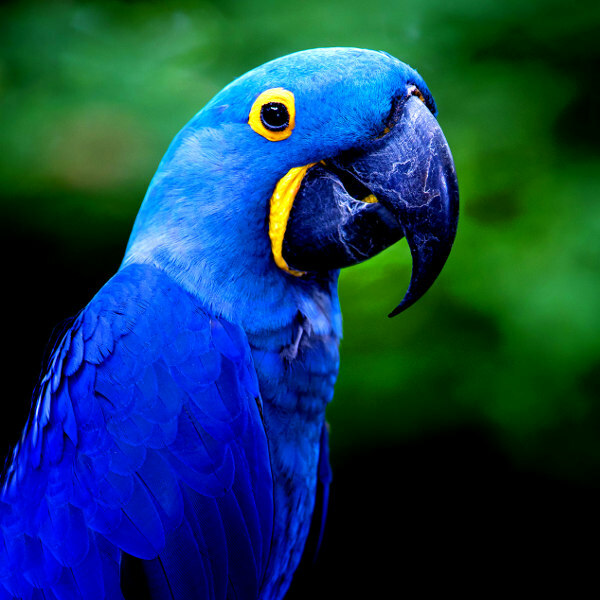 From the vast wilderness of Gran Chaco to the Pantanal wetland in the east, Paraguay abounds with exotic creatures such as toucans, hyacinth macaws, jaguars, guanacos and armadillos and tapirs. Paraguayan cuisine is unforgettable. 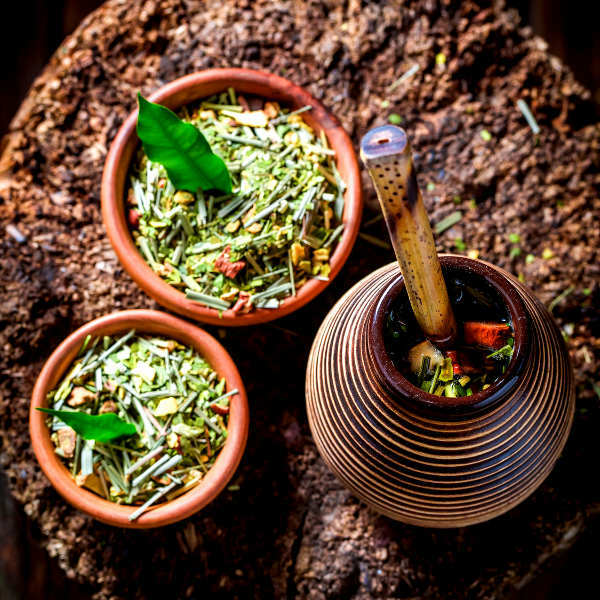 Be sure to try quesú paraguái, a traditional cheese made by local artisans, and tereré, a Guaraní tea made with yerba mate (mixed herbs) and water. The Paraneña region experiences high humidity and an abundance of rainfall throughout the year, while the Chaco region swings between wet and dry, with rainy summers (January to March) and parched winters (July to September). The rainy season in Paraguay spans October to April. The best time to visit Paraguay is after the rainy season when the landscapes are beautiful and the weather is balmy (May to September). The Festival de San Juan happens in June. If you want to witness the flamboyant colour and scintillating magic of Carnival, visit in February. For cheap flights to Paraguay, the best time to visit is between December and March (with the exception of the festive season). Lost in the heart of South America, between a wild tapestry of quivering swampland, subtropical forests, and the untamed Gran Chaco, Paraguay is an undiscovered and untouched paradise. While the rest of the continent tangos around it in a sultry blur, Paraguay follow its own unique rhythm. It is not a country that wants to impress with glitzy façades and whirring parties; it would rather introduce you to tereré and the authentic heart of South America. The capital city, Asunción, is beautiful in its simplicity. Beaux arts buildings line lazy avenues, shady plazas bustle with eateries and fascinating museums, and nightclubs thrum with seductive Spanish music and the intoxicating energy of Paraguayan nightlife. Encarnación is considered the ‘Carnival Capital of Paraguay’. Unforgettable festivals such as the Fiestas of San Blas, Festival de San Juan and iconic Carnival take over the streets from February to July. Cerro Cora National Park is an emerald wilderness of cascading waterfalls and mountainous hiking trails, while Ybycuí National Park is a mesmerising tropical rainforest teeming with wildlife and giant butterflies. Compare several airlines and book your cheap flights to Paraguay online at Travelstart! Although Paraguay is considered safer than most countries in South America, you should still use common sense and take certain precautions to avoid dangerous or troublesome situations. Stay up to date with travel advisories and obtain travel insurance to cover theft and medical expenses. The downtown areas of Asunción, Ciudad del Este and Pedro Juan Caballero should be avoided at night. Areas surrounding the border can be unpredictable. Leave valuables in a safe place and avoid carrying large sums of cash, as pick-pocketing and robberies do happen. Remain vigilant in crowded areas and when withdrawing cash from ATMs. Only make use of licensed, reputable taxi services. Paraguay is at risk for Zika virus, chikungunya, dengue fever and malaria, so precautions should be taken to avoid mosquito bites. Immunisation against yellow fever, hepatitis A & B, typhoid and rabies is recommended. Other vaccinations include MMR, diphtheria-tetanus-pertussis, meningitis, varicella, polio and influenza. Stick to bottled water in rural areas.